Even though we homeshool now, I always loved making teacher appreciation gifts when our older kids were in public school. Let me show you this delicious treat that only takes minutes to assemble. 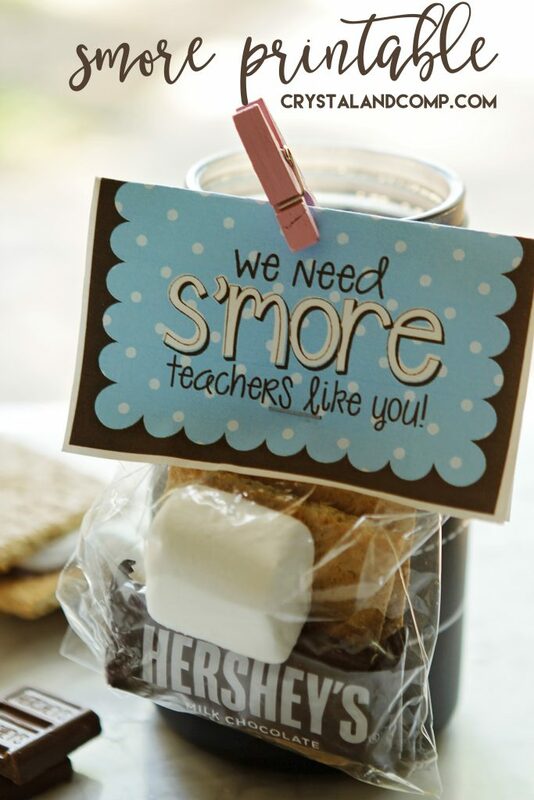 What teacher does not like smores? Yum! And these can be given to your sweet teacher any time of year. 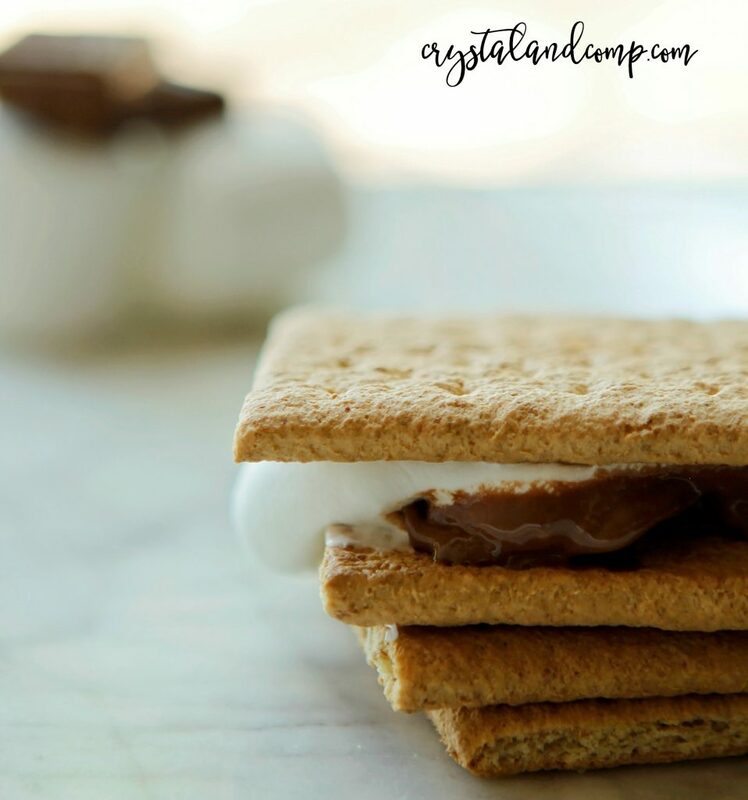 I even have a smores printable so you can make this on a budget and for as many teachers as you wish. Yay! Print the smore tags out on white cardstock and cut them out. Fold the printable in half as my sample above demonstrates. Stuff your cellophane bags with two graham cracker squares, one large marshmallow, and one chocolate. Fold the top of the cellophane bag over and place the cardstock tag over it. Secure shut with a stapler. 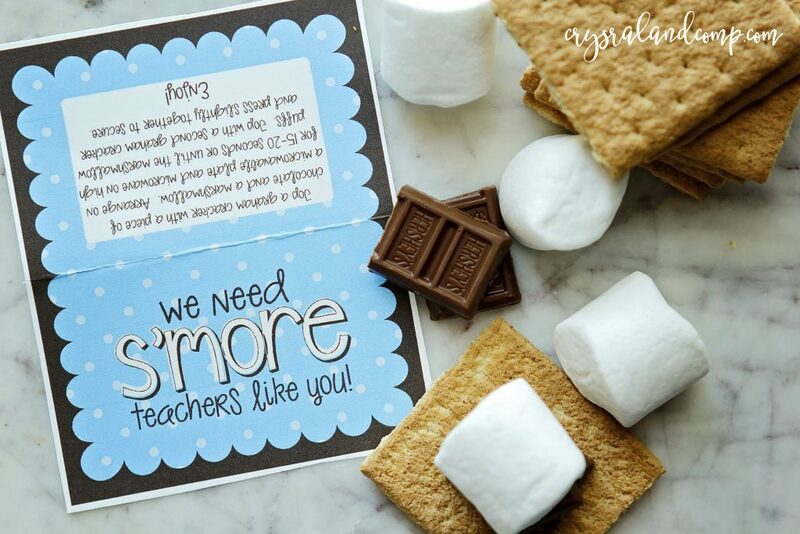 The printable even has step by step instructions for the teachers to create the smore in the microwave. You have a sweet little looking gift, that literally took seconds to make and did not break the bank. The teachers will LOVE these! Easy enough to make for a group of teachers as well. These can be given any time of year, not just during teacher appreciation week.